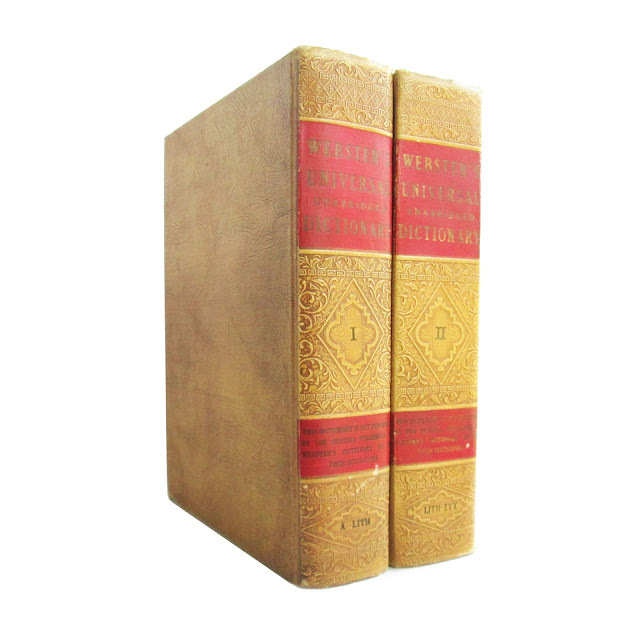 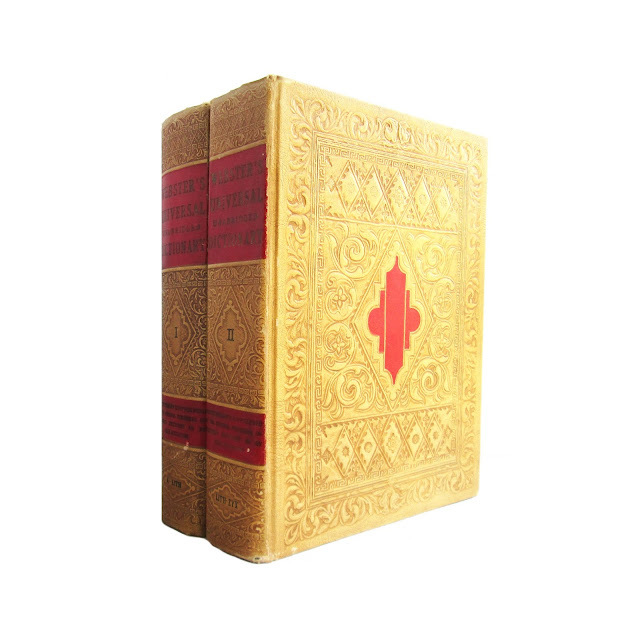 This is a complete two volume set of Webster's Universal Dictionary of the English Language, with a comprehensive addenda of newest words compiled by Joseph Devlin. 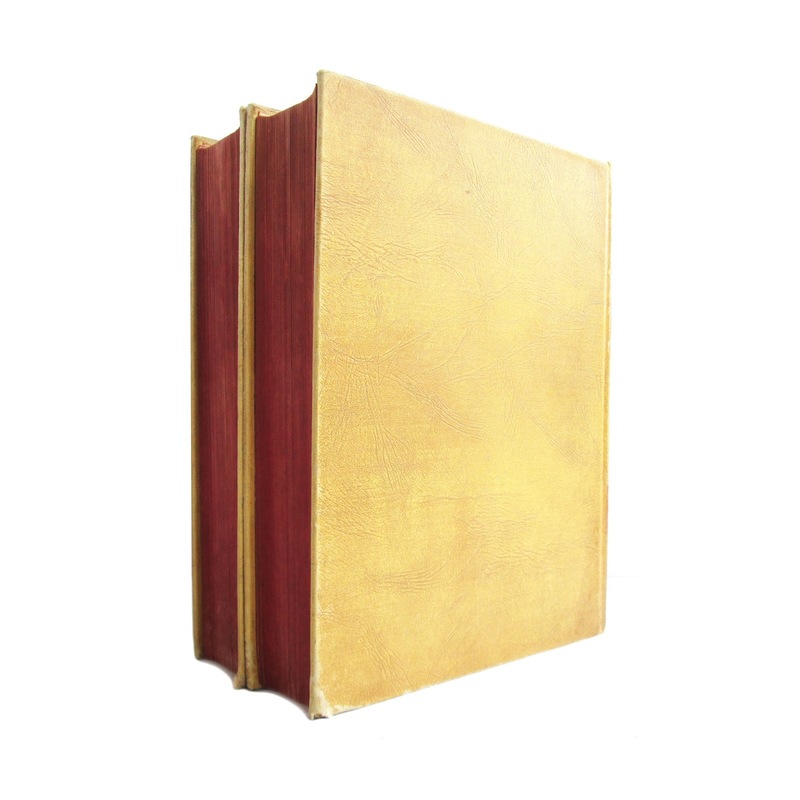 Books are in good condition with tanned pages, cracked front hinge, heavy cover soil, edgewear and corner wear. 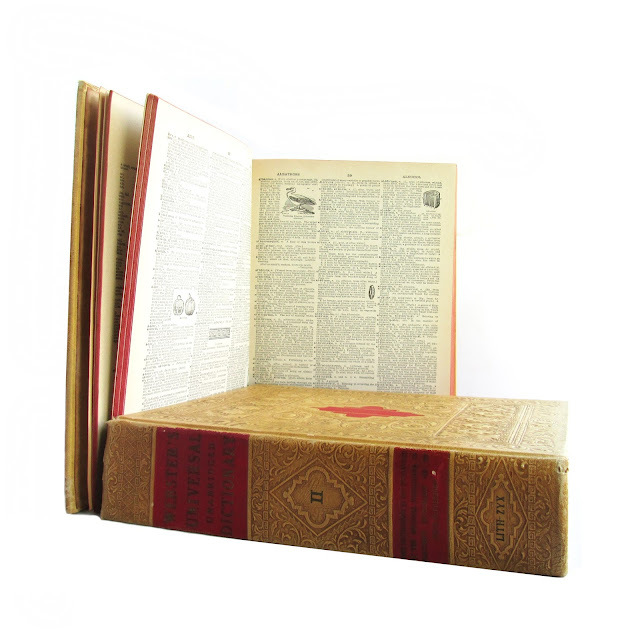 2024 pages plus maps, 8 x 11.